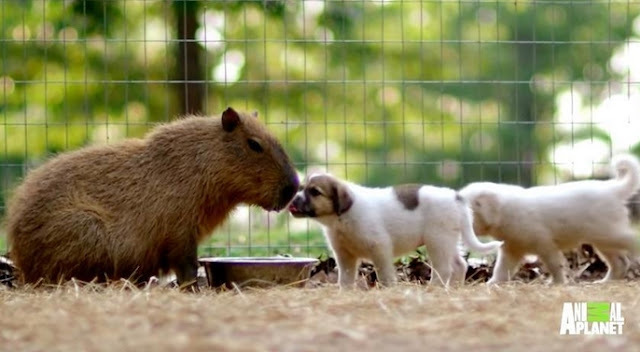 The orphaned puppies who show up at the doors of the Rocky Ridge Refuge all find themselves with a gentle, but unlikely, new mom: Cheesecake, a resident capybara, who adopts all the needy litters as they come through. 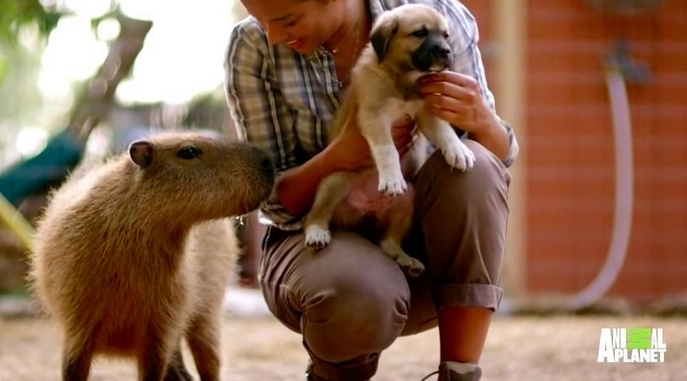 And she gives them the kind of love only a sweet, gigantic rodent can give. The refuge, an Arkansas animal rescue, takes in lots of abandoned litters and pregnant dogs, which means there are always new puppies to care for. Luckily they have Cheesecake to help nurse the babies. "She sleeps with them; she eats with them," Janice Wolf, the refuge's founder explained in an interview. 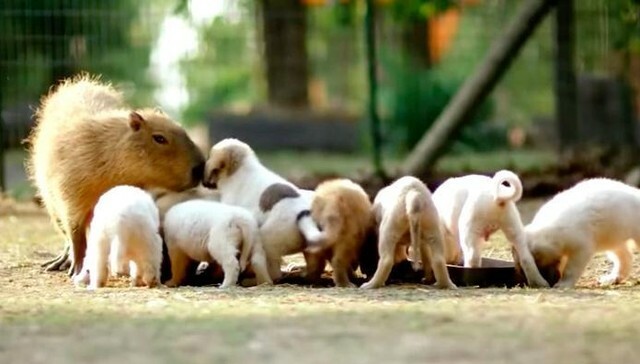 "They'll play with her, they'll groom her, and she seems to enjoy it." The refuge adopts out many of the puppies who pass through, so Cheesecake has to say goodbye to the litters she helps raise, but there are always new babies around to snuggle with. 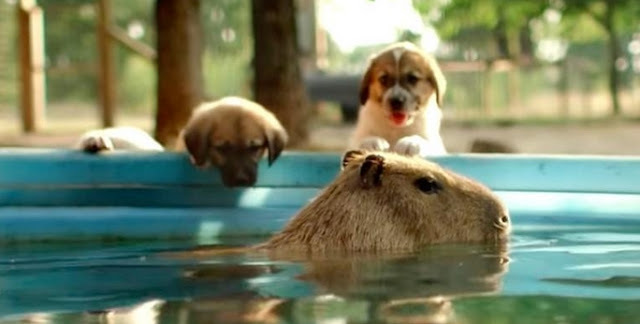 Cheesecake isn't the only animal to adopt babies of a different species — sometimes the urge to nurture is so strong that it transcends silly differences like genetics. 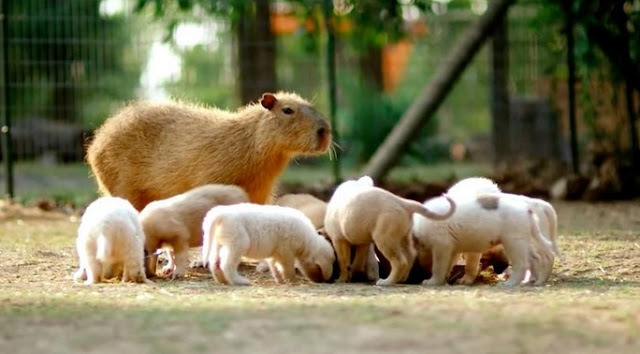 Responses to "Orphaned Puppies Find The Most Unusual New Mother"